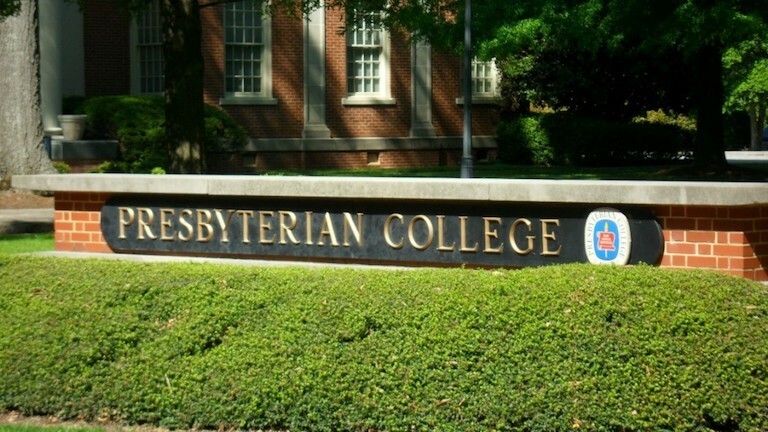 Presbyterian College (also known as PC, or "Presby") is one of the most frequently searched colleges in America, according to a recent internet keyword search of United States colleges and universities. Presbyterian is a private, 4-year liberal arts college, located in the state of South Carolina. The school was established in 1880, and currently maintains an enrollment of more than a thousand undergraduate students. As the name suggests, PC is affiliated with the Presbyterian Church. 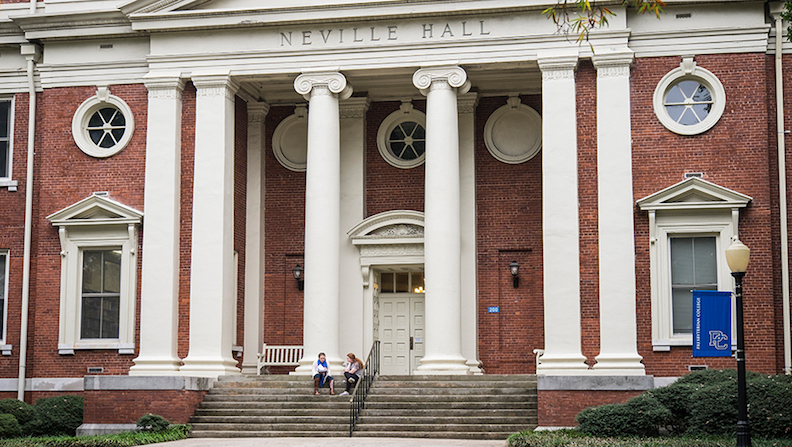 Notable Presbyterian alumni include banking CEO Bennett Brown, public school district Superintendent William Bradley Bryant, journalist Douglas Kiker, tennis player Allen Morris, and many professional football players, among others. PC is accredited to award degrees by the Southern Association of Colleges and Schools Commission on Colleges. Above: An aerial view of "Presby"
Here are the answers to some of the most frequently asked questions about Presby. 1. Where is Presbyterian College? 2. What types of degrees are offered at PC? Degrees from PC include Bachelor of Arts and Bachelor of Science degrees in various fields of study. Masters degrees are also available. 3. What courses are offered at Presbyterian College? Graduate school studies are offered at the School of Pharmacy. Physician Assistant training and Chinese studies are also offered on a graduate level. 4. Who should attend Presbyterian College? PC is a convenient choice for people of any age who live in the general area, especially those who prefer a faith-based education. PC is also a prime choice for students who seek careers in the teaching professions. 5. Why attend Presbyterian College? PC has many academic programs to choose from. PC features small class sizes. 6. How much does it cost to attend Presbyterian College? According to the college website, the cost of tuition and fees to attend PC as a full time undergraduate is approximately $38,000 per year. The cost of admission to the Presbyterian School of pharmacy is closer to $36,000 per year. These costs do not include housing, food, or transportation. Some other fees may also apply. These may include application fees, enrollment fees, testing fees, course fees, and insurance fees, for instance. Financial aid may be available in the form of scholarships, grants, loans, and work study programs, to help students pay for their educations at Presby. 7. How long does it take to earn a degree from Presbyterian College? For a full time student at Presby, it should take roughly four years to earn a Bachelors degree. However, some PC students are enrolled part time. For part time students, the estimated time of completion will depend on the student's schedule. 8. 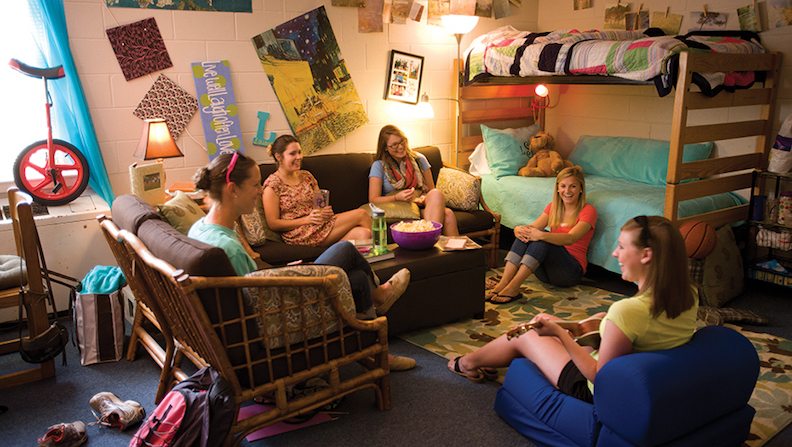 What is the Presbyterian College campus like? The PC campus occupies 240 acres of land featuring red brick architecture in a small town atmosphere. Notable campus landmarks include Cyrus, the world's largest bronze statue of a Scotsman. On-campus student housing is available. 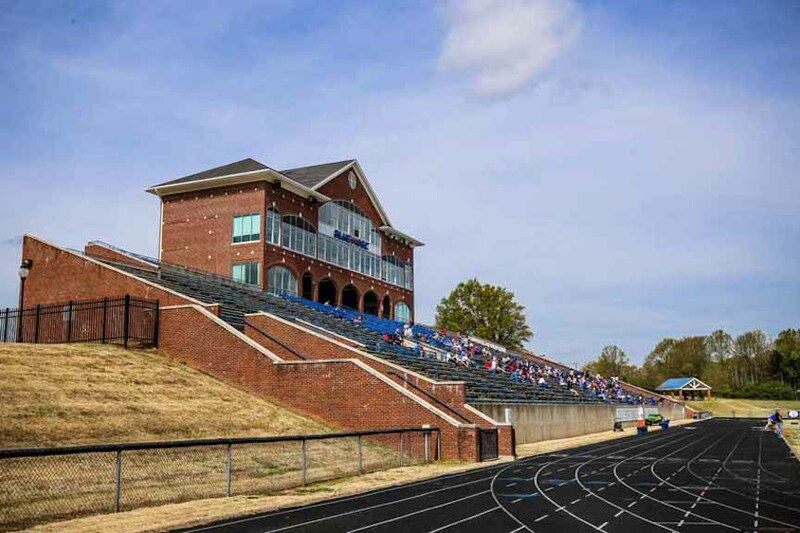 The athletic teams at PC are called the Blue Hose. They play for Division I of the National College Athletic Association (NCAA). Non athletic campus activities include a Dance team, a French club, a History club, a Math club, a Political Science club, and a Spanish club, as well as a number of intramural sports and performing arts clubs, to name a few. 9. What is the neighborhood like around the Presbyterian campus? 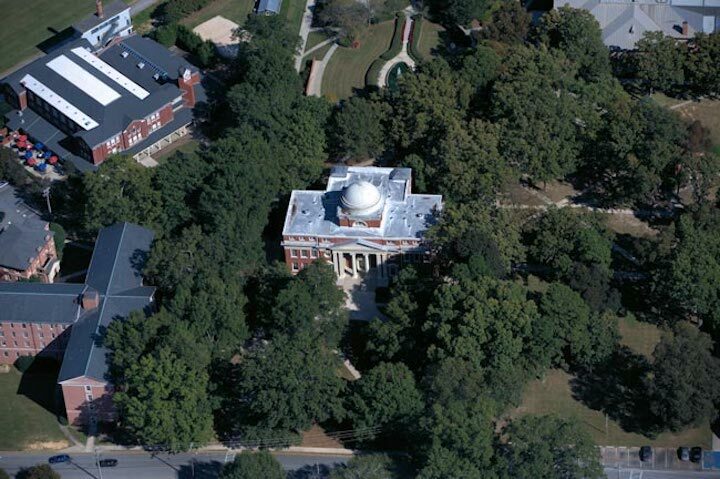 Probably the most interesting and famous attraction in Clinton, South Carolina is the College itself. The only other attraction of interest to anyone in Clinton is a Revolutionary War Historical Site called Musgrove Mill. Hiking trails are located nearby. 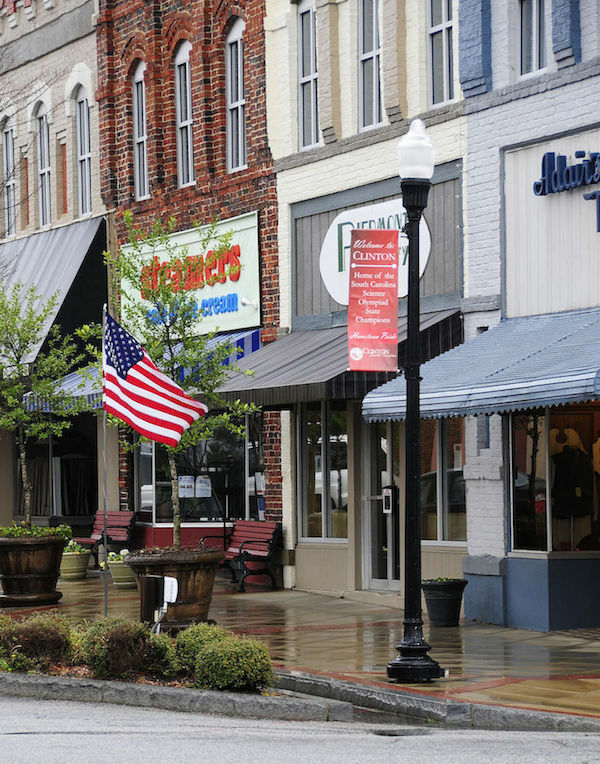 Still, downtown Clinton (along East Main Street) has the same types of stores and conveniences of any other small town, including a discount pharmacy and numerous affordable places to eat. A car may be useful for getting around the area, although some conveniences are within walking distance of the campus. 10. What is the contact information for Presbyterian College? You can reach the main campus of PC in Clinton by calling 864-833-2820. Or you can send a fax to 864-833-8749. For questions about financial aid, call 800-476-7272.